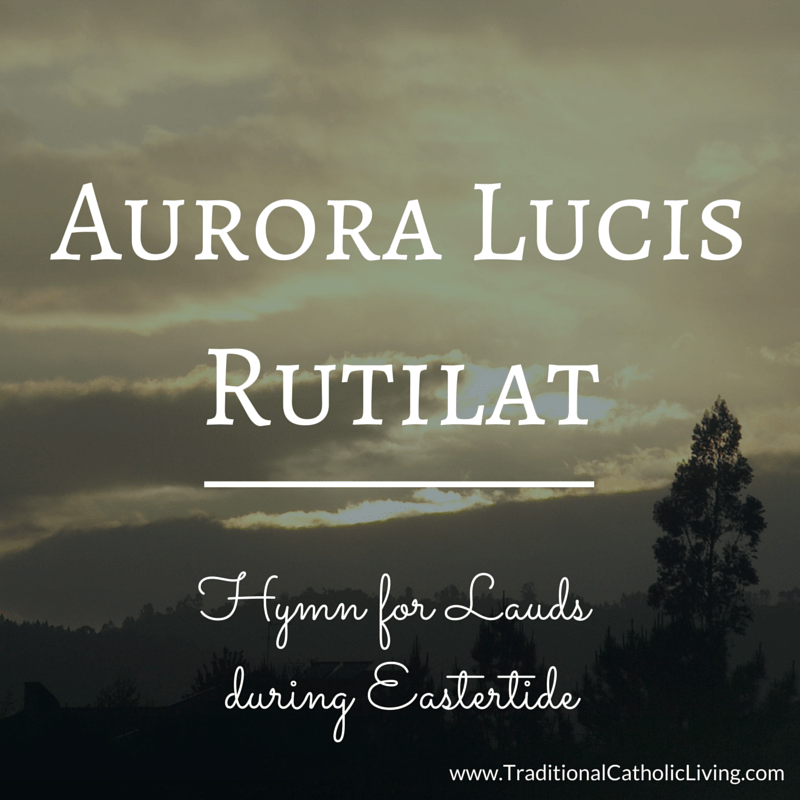 Aurora lucis rutilat is an Easter hymn sung at Lauds, or Morning Prayer. I currently use the Mundelein Psalter, and this is how the chant appears in the Mundelein Psalter, courtesy of Google books. As you can see, the chant is at the top of the page, with all the text below. I’m still learning how to read chant, so I found this too hard to attempt in the early morning. Since this hymn will be used for about 2 weeks, I figured it was worth learning! If you have trouble sight-reading chant too, the audio and full image of the chant (shown below) should help you learn it. Note: A few words in the video do not match the score. If the YouTube video doesn’t work, you can also listen on Spotify. This hymn was modified by Pope Urban VIII, and many translations have been made. Here is one translation by Fr. Edward Caswall from his “Lyra Catholica” in 1849. It is the translation of the modified hymn, Aurora coelum purprat. Confused? Yeah, me too. Here is a little explanation from Matthew Britt in his “Hymns of the Breviary and Missal”. For more hymns, please see Catholic Songs to Learn and Sing.